Russell’s ‘Really Awesome Coffee’ Birkenhead Mobile coffee van can be seen in and around Birkenhead visiting local businesses and supplying them with delicious espresso based drinks and deli-style lunch choices and is available for local and corporate events. Russell offers an extensive menu of gourmet coffees, specialty teas, luxury hot chocolates, smoothies, milkshakes and frappes along with deli lunch offerings such as salads, bloomers, sandwiches and wraps. The Birkenhead Mobile coffee van also boasts a hot-hold oven meaning he can offer hot food such as bacon rolls, pasties, wraps and toasties. He also provides a selection of corporate platters for breakfast or lunch meetings and these can be organised for next-day delivery. Our Awesome! The van also boasts a hot-hold oven meaning we can offer hot food such as bacon rolls, pasties and the like and also a self-serve refrigerator which houses high-quality sandwiches, baguettes, salads etc. We also provide a selection of corporate platters for breakfast or lunch meetings and these can be organised for next-day delivery.Russel is a fully trained baristas and our Really Awesome Coffee van is also available for local events and parties. So if you work at a local business and would like freshly ground gourmet coffees, hot & cold food, chilled drinks and tasty treats brought to you at your place of work then please get in touch to see how we can add some Really Awesome Coffee to your day! 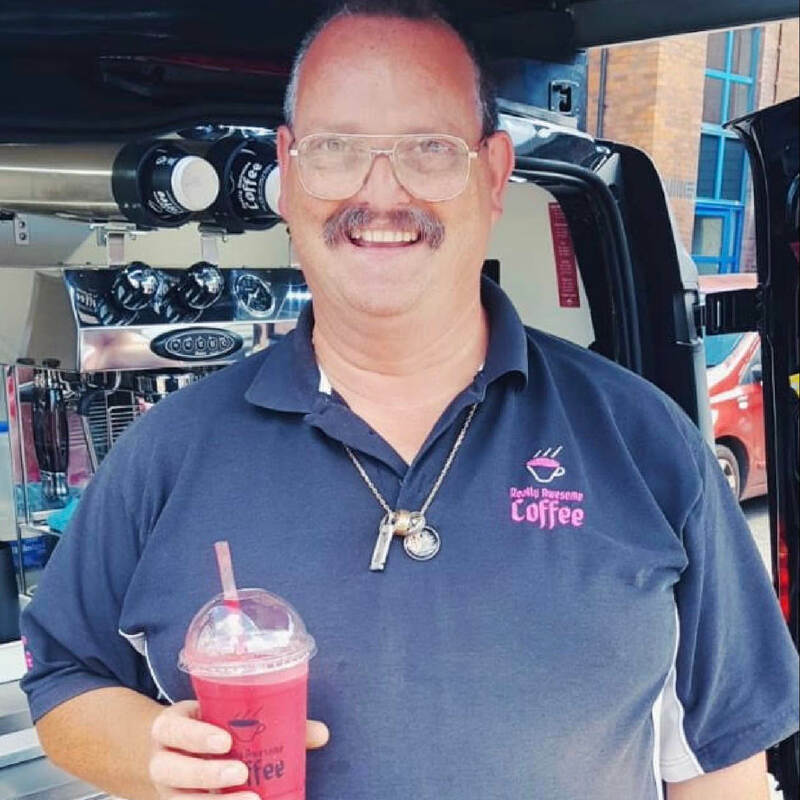 Russell is a fully trained barista and the Birkenhead Mobile coffee van is also available for private functions and parties.To book Russell for your next event simply fill in the contact form below or call 0333 577 0713.